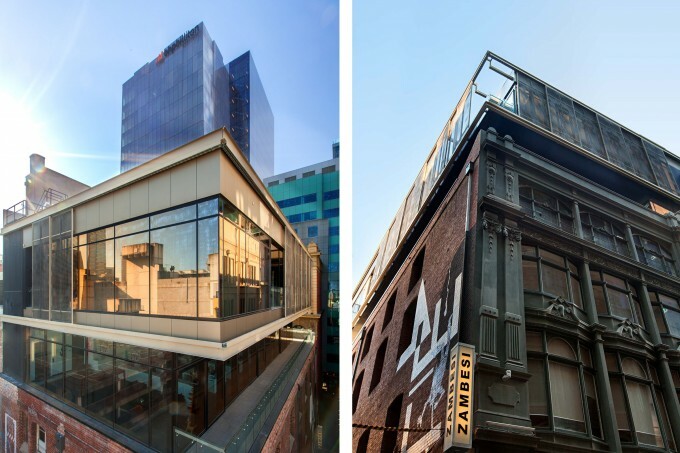 It's not a common occurrence; the restoration of one of Melbourne CBD's fleet of early, red brick warehouse and/or office buildings coupled with the addition of a handful of levels. 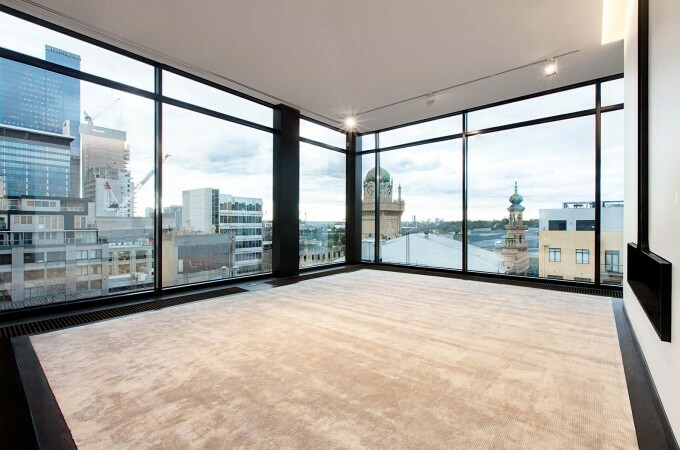 A number of classic red brick edifices in recent years have been lavished with a particularly golden touch. 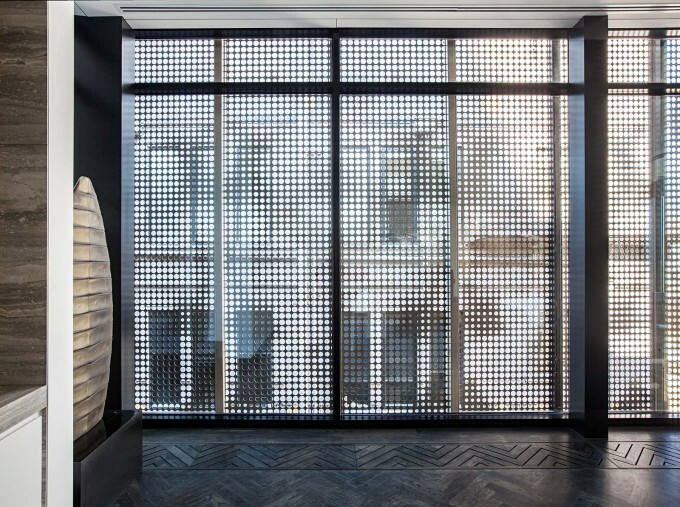 105 Lonsdale Street was transformed at the hands of Kubic Construction and is now crowned with a golden mesh clad covering the additional floors which resemble old lanterns, a nod to the building's proximity to China Town. 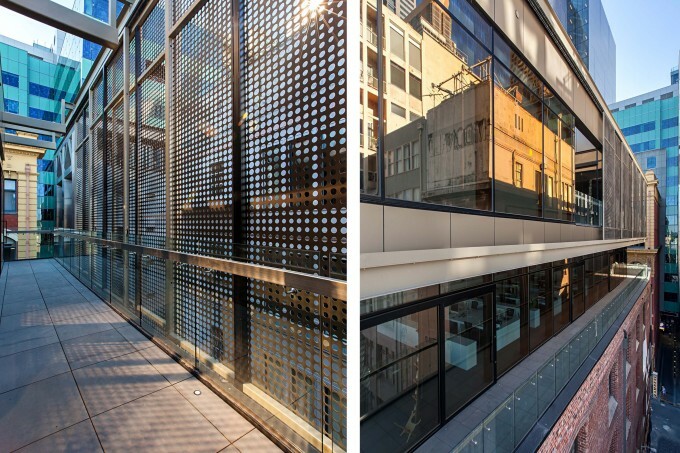 Elsewhere VCAT have recently approved a golden kinetic facade extension to the 1902 Metcalfe and Barnard warehouse fronting Russell Street (seen below right). 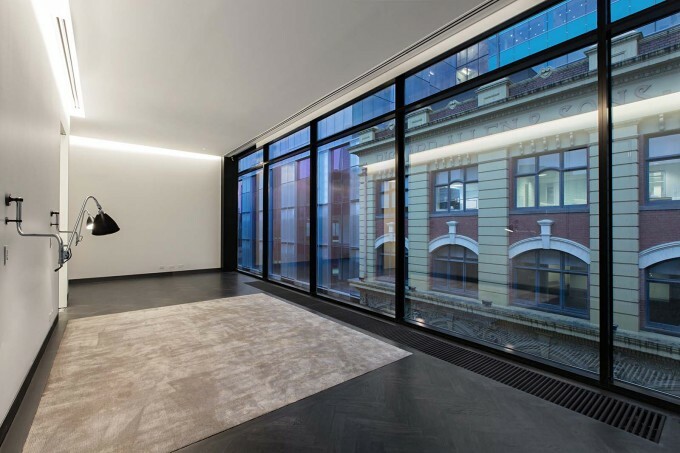 The focus of today's article however is 167 Flinders Lane which was redeveloped late last year. 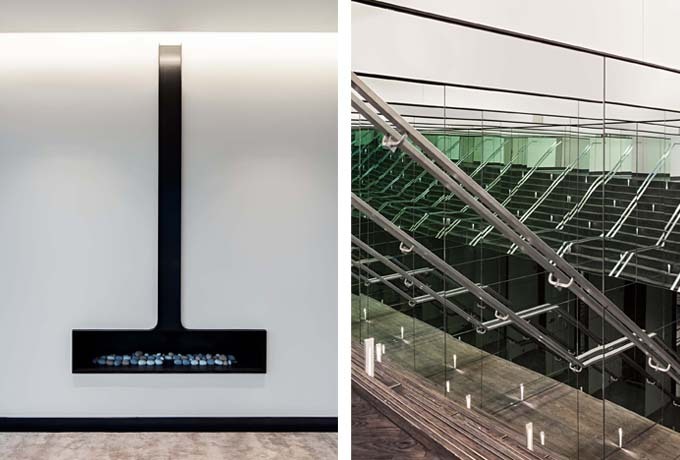 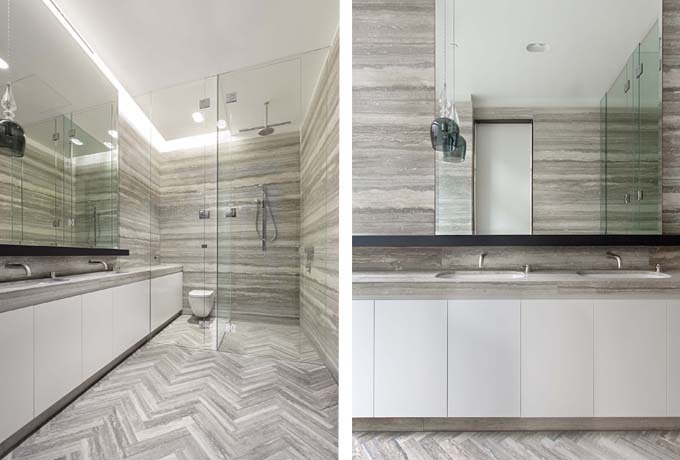 Designed by Elenberg Fraser, the existing structure received three additional levels consisting of commercial space and penthouse. 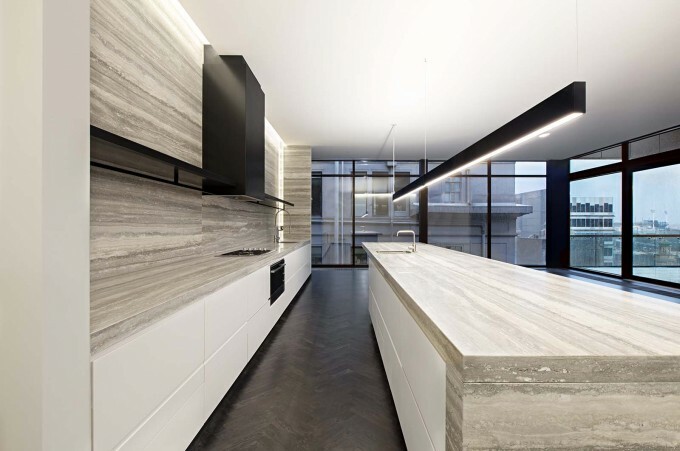 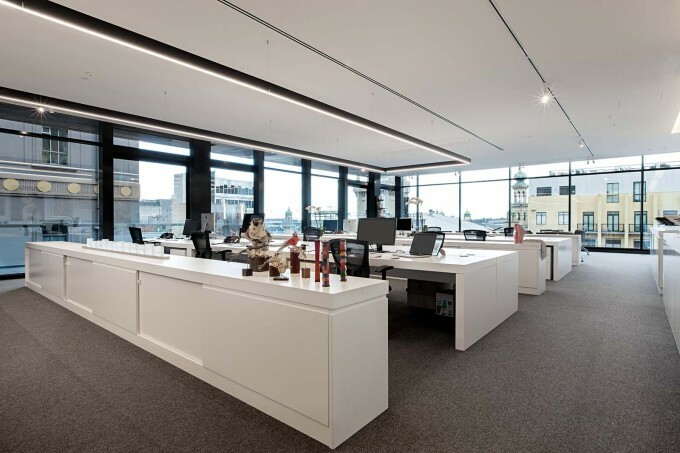 Enjoy the images taken from the Maben website, depicting the high quality expansion of 167 Flinders Lane.